Your goods are typically delivered to your shipping address in 3 -5 business days within Australia metropolitan regions. For Regional Areas please allow 7 – 10 days. Whether your goods are couriered across town or across the country we offer friendly and efficient courier service. We do offer Full tracking on your parcel online 24/7. 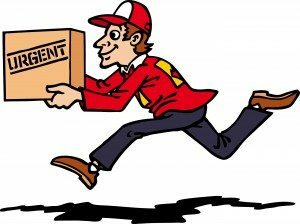 If you are not at home at the time of the delivery, the courier will leave a calling card and will arrange a re-delivery time for your goods. It is our policy to obtain a signature on all deliveries. Please note the Free Delivery service does not include the NT, Outback regions,the North West of WA, North Queensland and Tasmania and other regional areas. Please contact us to obtain shipping quotes. We want you have the best online shopping experience, so if you have any problems with your order, please contact our team by phone or email. Our Online Ordering, Delivery and DIY systems have your pool cover installed and ready to go faster than you can say, “Marco Polo”.